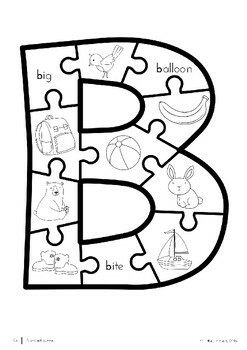 Use this alphabet resource to strengthen children's learning of the alphabet letters and sounds. 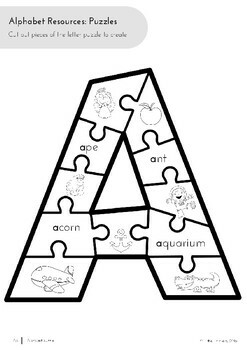 Each puzzle has a number of pieces for kids to create a particular alphabet letter. 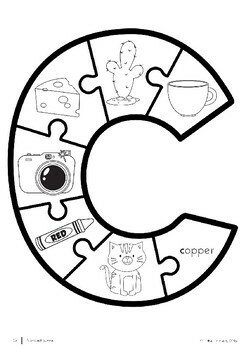 On each puzzle piece is either a picture or word associated to that letter. You might like to cut pieces out and laminate to use over and over again or students could have their own paper copy and create it themselves. 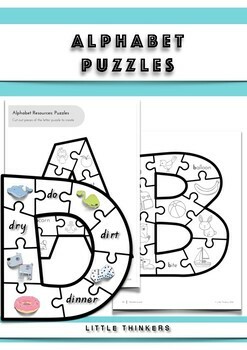 If you would like this resources in a mega bundle please download Alphabet Pack: over 300 pages of alphabet goodness.